Fabric Mart Fabricistas: Made by a Fabricista: Polka dots for summer! How much do you love wearing cotton in the summer? As much as I do? 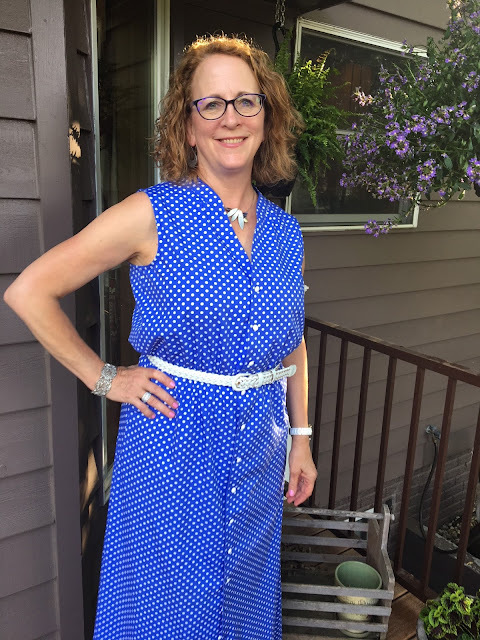 When I spotted this periwinkle polka dot fabric, which by the way, is a sateen, it was love at first sight! And for one of the first times in my life I knew exactly what pattern to use to make this fabric perfect for summer heat! 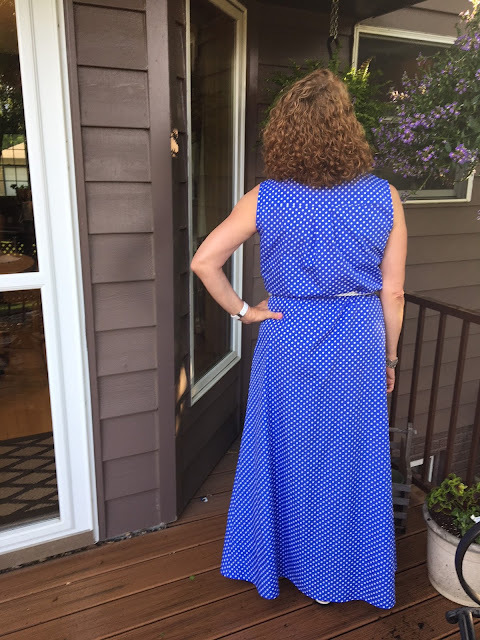 This is an uncomplicated and relatively easy sew. I partially tissue fit this in the bodice. Using flat pattern measurements, I knew the skirt would fit. 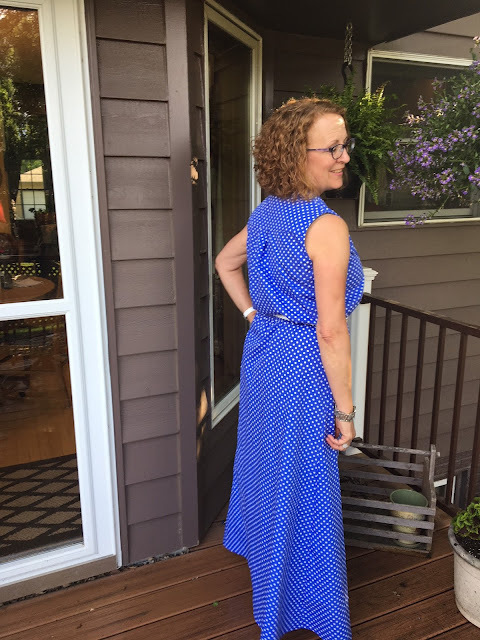 I used a tiny narrow hem for the skirt. Since the fabric hangs so nicely and moves so nicely, I didn't see any reason to make a wider or fuller hem. What do you think was that a good choice? I did make an FBA for this pattern and honestly, I believe that is my only alteration. I love how this fits! It will be perfect for summer--which finally arrived last week with a vengeance! The day I sewed this up it was 100 degrees outside! The week prior, I had my heater in on my sewing room. 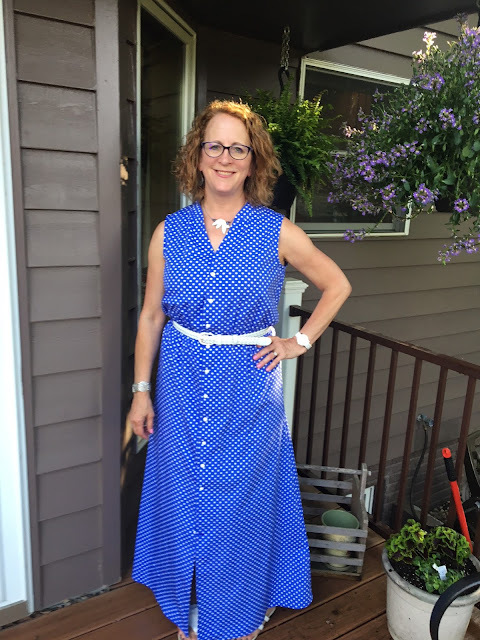 Thanks for reading and I hope you are making some fun summer garments as well! Look really cool. 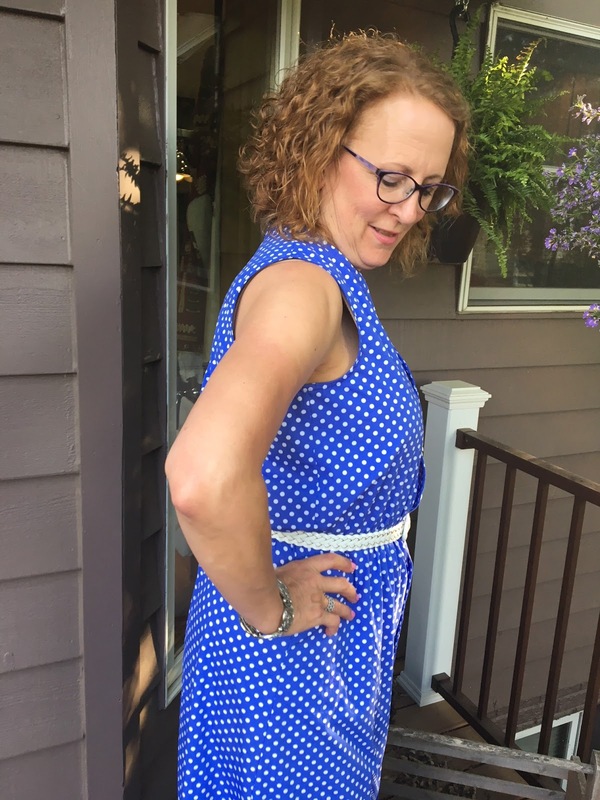 Love the pattern and how it fits you! Thanks for sharing. 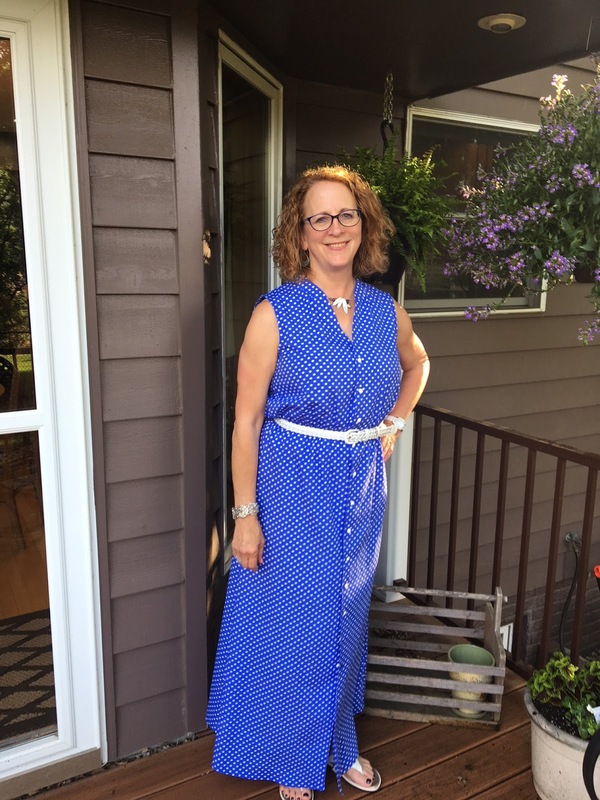 Looks like a perfect summer maxi dress!